We’ve had a busy first few weeks of school getting to know each other and our new third grade rules and routines. Now that each student has returned his or her paperwork I can now start posting some photographs. I’m very excited because each and every student has permission to appear on our classroom blog and website! 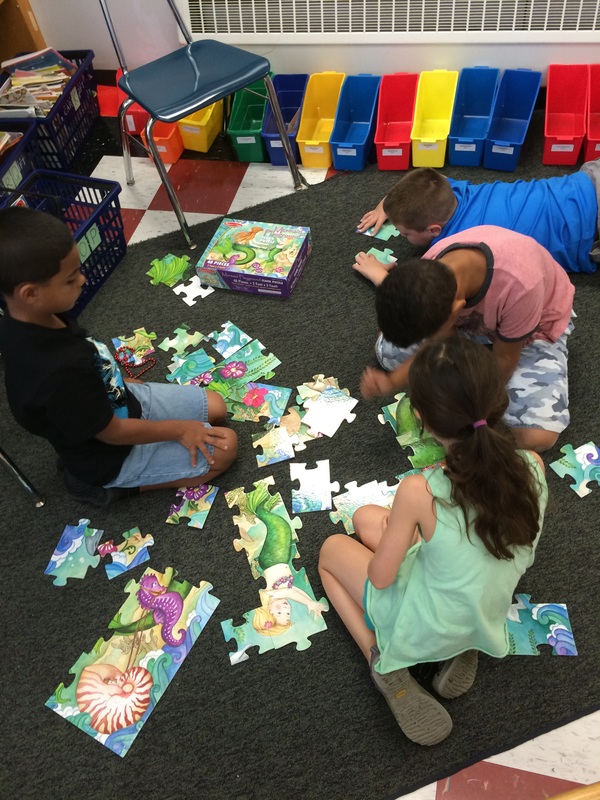 The first week of school everyone enjoyed participating in a puzzle team building challenge. 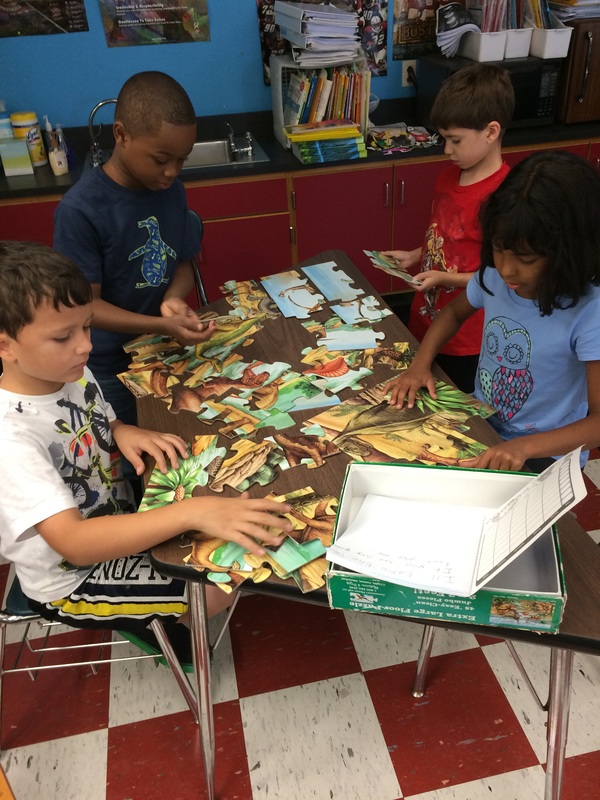 Groups were randomly selected using popsicle sticks and the students had to work together to assemble their puzzles without talking. 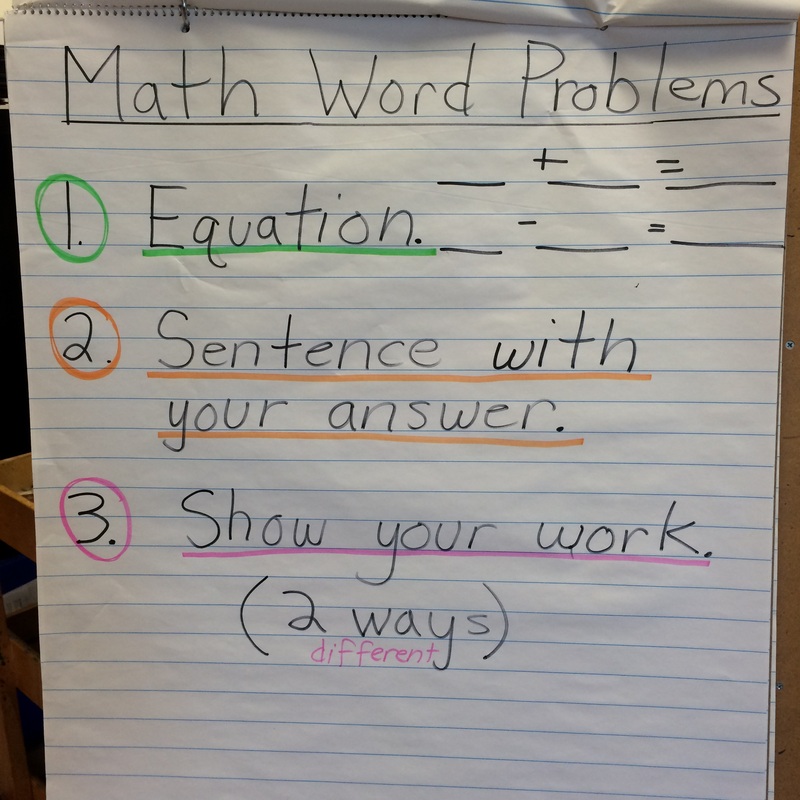 Every group developed different strategies for communicating without using their voices. 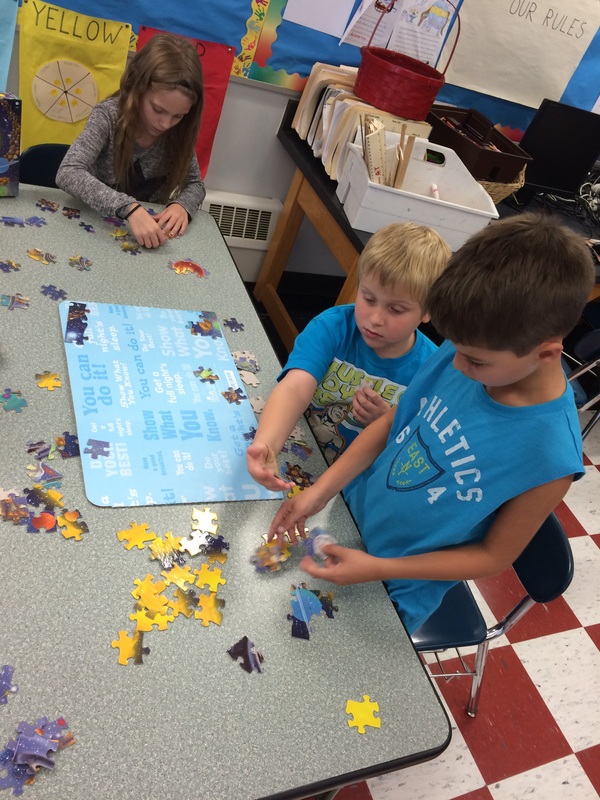 Each group successfully participated and three of the four groups completed their puzzles. 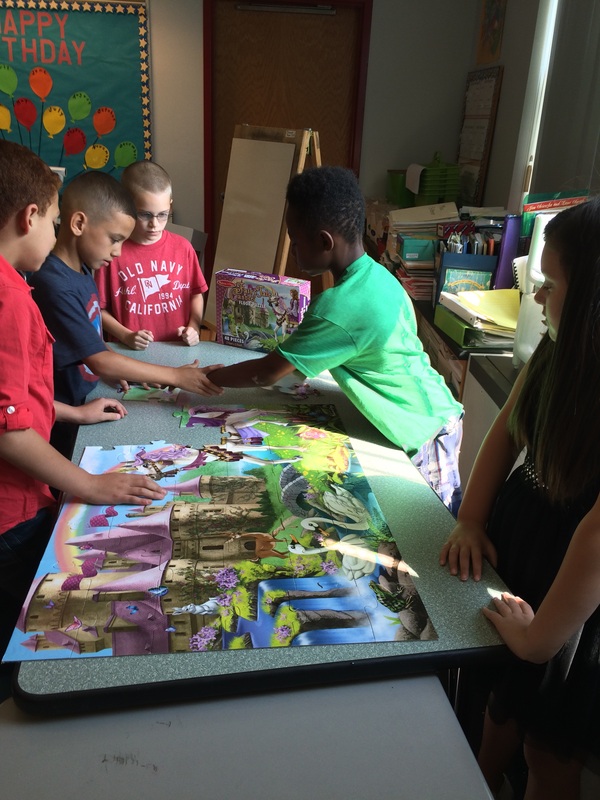 The only reason that one group did not finish was that the puzzle had many more, smaller pieces. It was a successful team building activity and I’ve had many requests to do another puzzle activity! We’ve also started learning about rounding to the nearest ten. 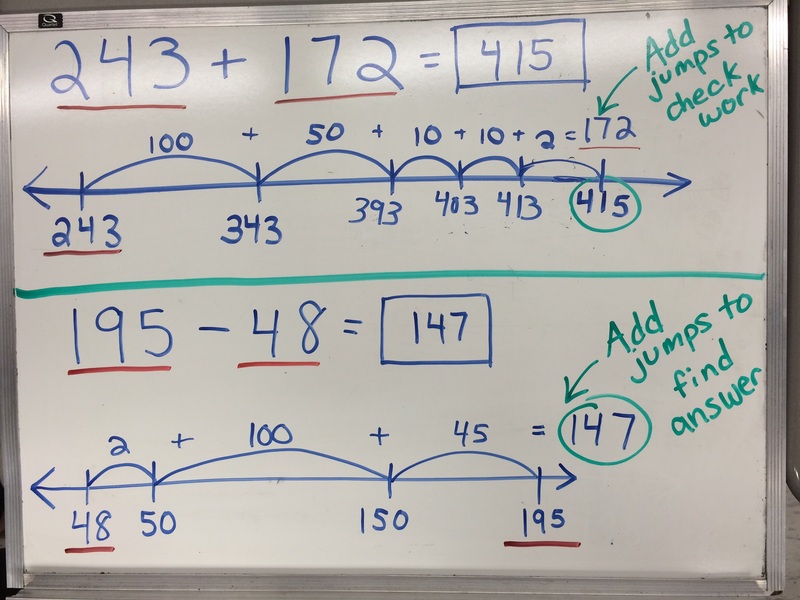 Here’s a video illustrating how we round a number to the nearest ten. 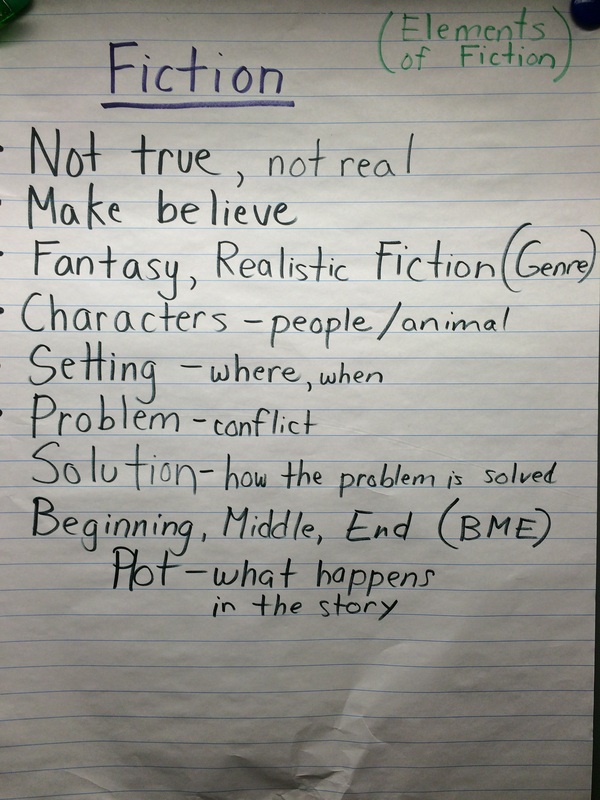 In English Language Arts we have been talking about common elements of fiction, such as characters, setting, plot, problem, and solution. The class has enjoyed reading Something Beautiful by Sharon Dennis Wyeth and My Rotten Redheaded Older Brother by Patricia Polacco. 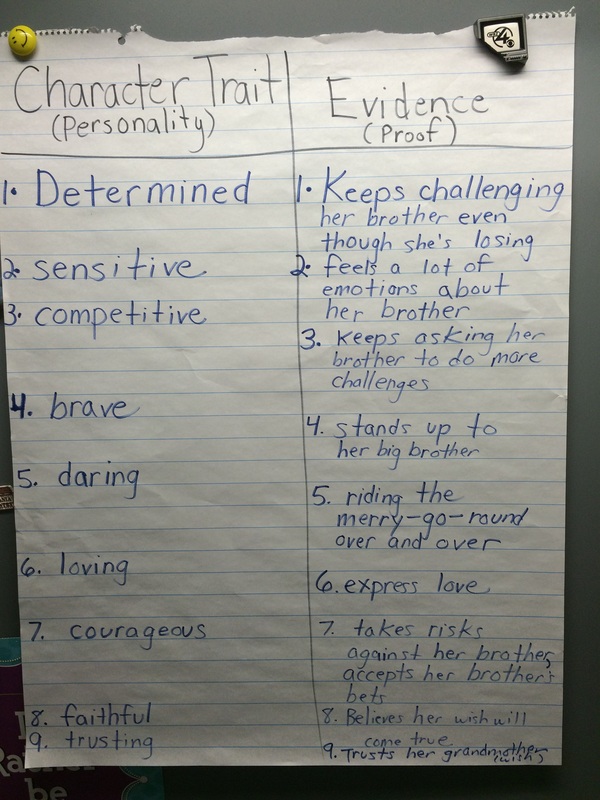 Towards the end of the week the students identified the character traits of the sister in My Rotten Redheaded Older Brother (see chart below) and they are currently working on developing a paragraph explaining her character traits. One thing I remember most about my own elementary school experience is my teachers reading to me. I can vividly recall which teacher read which book and I am continuing this read aloud transition in our classroom. The students love listening to George’s Marvelous Medicine by Roald Dahl because it makes them laugh. Students have also been reading about Massachusetts and soon they will have their Massachusetts maps on display in the hallway outside our classroom. Come by and visit any time!